Here’s the first look at The CW’s upcoming double-header musical crossover extravaganza. 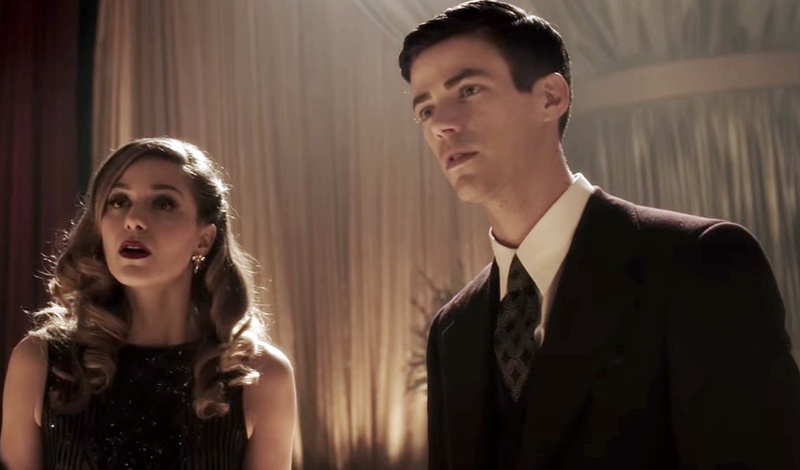 First up is Monday night’s Supergirl episode, “Star-Crossed”, followed by The Flash with “Duet”. From the look of things, the production will be a lot like that gorgeous Agent Carter (*sniff) “A Little Song and Dance” outing, and that’s a good thing. Of course, the actual singing is withheld, and there’s minimal dancing, but a certain glum hero does actually look like he’s having some fun. Victor Garber, Teri Hatcher, Darren Criss, Kevin Sorbo and John Barrowman all show up, as well. Catch Supergirl and The Flash crossing over on March 20th and 21st.